Bessara is a humble but delicious Moroccan dish of pureed beans which can be found as street food and homemade comfort food. Made from either dried split peas or dried fava beans (ful in Arabic), it's seasoned to taste with garlic, lemon juice, and olive oil and presented in pureed form with cumin, paprika, and sometimes olive oil and harissa on the side as condiments. The puree may be offered in thinner form as a soup or porridge or left as a thicker puree which can be eaten as a dip. 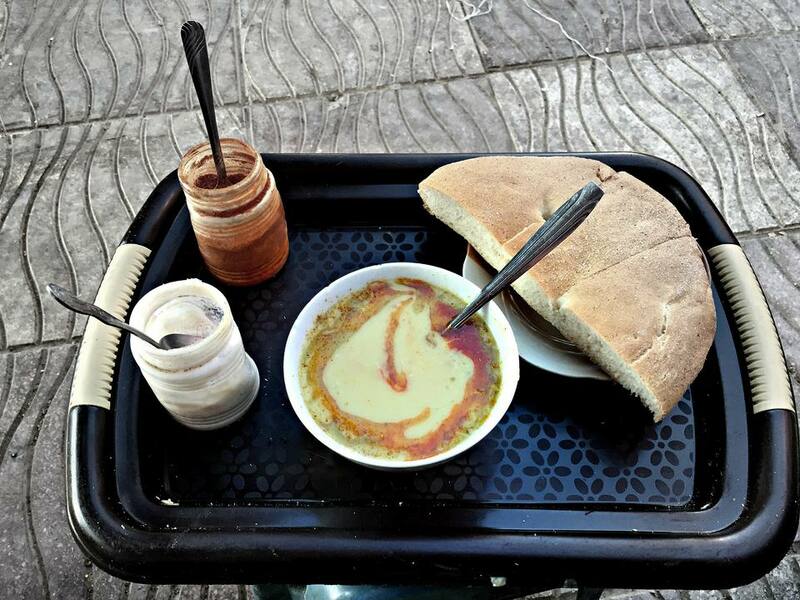 In both cases, crusty Moroccan bread is served on the side for dunking or scooping. Traditionally, bessara is enjoyed warm from a heated communal dish, but it may also be offered in individual bowls or deep plates. Garnish with additional cumin, paprika, salt, olive oil, harissa, chopped parsley or cilantro, or simply have a selection of these condiments available on the side. Plan ahead as you'll need to allow all day or overnight soaking of the dried fava beans. You can enjoy bessara at any time of the day, but it's especially popular as breakfast or evening fare. Ahead of time, place the dried fava beans in a large bowl and cover with a generous amount of cold water. Set aside to soak overnight or all day. When ready to cook, drain the beans and peel them if they weren't already skinned and split. Transfer the peeled fava beans to a medium-sized pot and cover with a generous amount of water. Bring to a boil over high heat, then reduce the heat to medium and simmer the beans until tender, one hour or longer. Transfer the drained beans to a food processor, and add the garlic, olive oil, lemon juice, two tablespoons of the reserved liquid, and spices. Process on high speed until smooth, adding additional liquid if necessary to thin the bessara. At a minimum, it should be thin enough to pour out onto a plate, but may be thinned even more if a soup-like consistency is preferred. Taste the bessara and adjust the seasoning as desired. Reheat the bessara and serve warm, preferably in a warm dish so that the bessara doesn't cool rapidly. Garnish with any of the following: ground cumin, paprika, salt, harissa or cayenne, olive oil, and/or chopped parsley.